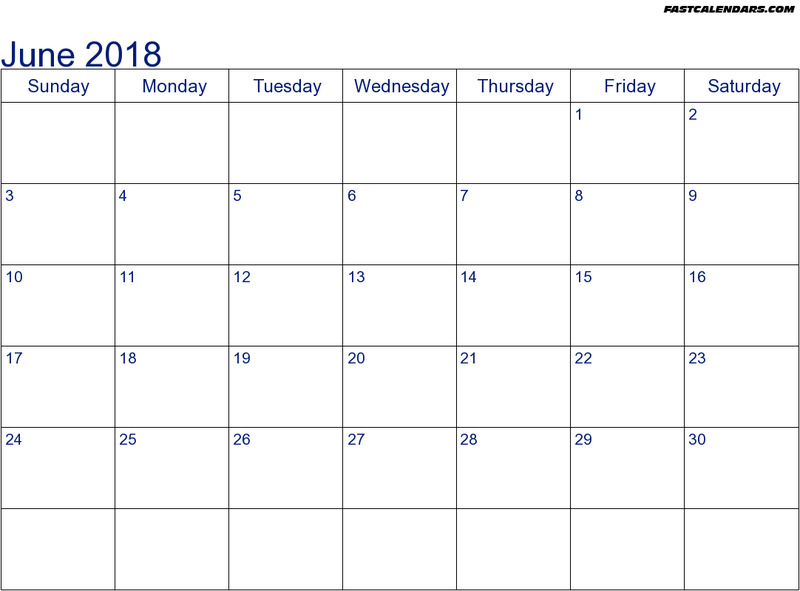 June is usually a good month for me, as far as the blues go.......it's my birthday month and it's also Father's Day, both of which usually give me the opportunity to take in some new music and reading. I'm pretty hard to buy for, so everyone usually gets me gift cards, and that's what happened this year, so I seized the day and picked up some splendid new music to listen to and share with my fellow blues fans. I picked up a brand new ones that I had been wanting to hear and a few that I had been meaning to pick up for a couple of years or more. I was in a soul frame of mind this month......does everyone else do that at times? While you might prefer a particular genre much of the time (in my case, blues.....DUH), sometimes you like to take a little break and wade off into another genre. For me, I usually drift toward jazz in the wintertime....not sure why.....and usually soul music in the summertime. This year, I decided to pick up a couple of highly-praised recent soul releases and I found out that those praises were much deserved. 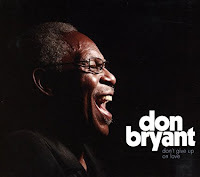 While most blues fans may not be familiar with Don Bryant, they've definitely heard some of his songs. Bryant was one of the principal songwriters for Hi Records. Starting out as a performer with the Four Kings and as a solo artist, he eventually found his biggest success as a writer, penning several tunes for his future wife Ann Peebles, including "99 Pounds" and "I Can't Stand The Rain," and also songs for Hi's Mount Rushmore of soul singers - Al Green, Syl Johnson, O.V. Wright, and Otis Clay. Bryant eventually retired from the music scene, returning later with a focus on gospel music in the 80's and 90's. When Peebles restarted her career in the early 90's, Bryant was there to give her a hand, but largely limited his own performances to the church. A couple of years ago, Bryant was invited to participate as a vocalist with the Memphis group The Bo-Keys on their wonderful Heartaches By The Number album. The reception to his return to soul music inspired Bryant to return to the studio for his own album, which was released by Fat Possum Records last year. 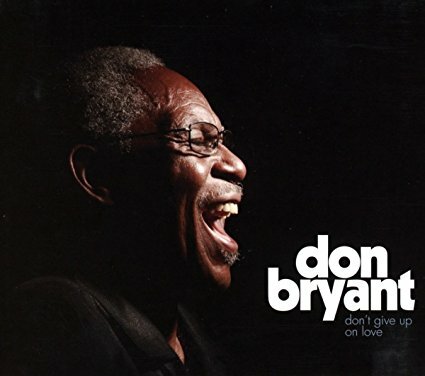 Don't Give Up On Love featured Bryant backed by The Bo-Keys and several other Memphis luminaries. It's a great mix of Bryant's early tunes and some very good new material which touches on soul, blues, and gospel. Bryant sounds fantastic and so does this incredible band in support. Any music fan who digs southern soul music, especially in a Memphis vein, simply has to have this in their collection. Soul music is alive and well, thank you very much. 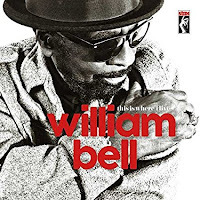 Keeping things in Memphis, William Bell also released a great soul music album in the past couple of years. 2016's This Is Where I Live was a Grammy winner for Best Americana Album and one of the most deserving in the show's history. Bell was one of the first performers for Stax Records in Memphis, joining the staff as a writer originally, but he ended up having a huge hit in 1961 with the self-penned "You Don't Miss Your Water," which was one of Stax's first big hits. Unfortunately, he was drafted soon afterward and his career stalled until 1967 when he was able to release his own album, The Soul of a Bell, and Albert King recorded his song (maybe you've heard it), "Bone Under a Bad Sign." Bell continued to record, having a few more hits, the biggest being the 1977 R&B smash "Trying To Love Two," which is where I first heard Bell and became a big fan. Though he's continued to record over the years, on his own label, Wilbe Records, he hasn't had a lot of chart success, but has continued to perform. When Stax reactivated a few years ago, he joined up with the label to release This Is Where I Live, which consists of mostly Bell originals, including a cool remake of "Born Under a Bad Sign." Bell's songs have always taken a thoughtful, mature approach to the familiar themes of soul and blues music and this new batch of songs is tremendous. Bell hasn't lost an inch off his fast ball as a singer either and the band is more than up to the challenge of backing this great singer. I got to see William Bell last week at the MSU Riley Center in Meridian, MS. The show was billed as "William Bell's Tribute To Memphis Soul Revue" and featured Bell with several of the artists on his Wilbe label, all of whom performed songs from the Memphis soul catalog from Ann Peebles, Aretha Franklin, Otis Redding, Wilson Pickett, Aretha Franklin, and Carla Thomas. Bell opened and closed the show and gave a masterful performance. His voice was amazing as he went through several of his classic songs. I would have loved to have heard more from Bell, but it was a very good show all around and hopefully will help bring some attention to the other artists on his label as well. 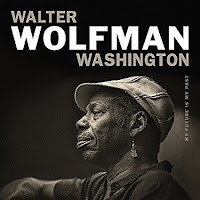 Another longtime favorite is Walter "Wolfman" Washington, the subject of an FBF post a few years ago (I apologize for the audio issues.....several years ago, Divshare went on hiatus and then shut down, causing me to lose about 400 songs I had placed on their site). Washington has been away from the studio for several years and his latest, My Future Is My Past (Anti Records), is quite a change from his usual mix of roof-rattling blues, funk, and soul. The Wolfman's latest is a sterling set of after-hours blues tunes, a very low-key set. Don't get me wrong, there's still plenty of great guitar work here, but it's a decidedly different style of blues that what fans will be used to. The focus this time around is Washington's vocals, which have long been his secret weapon....he worked for years with the great New Orleans vocalist Johnny Adams and certainly picked up a few pointers.....fans of both will notice some similarities in phrasing and, like the Tan Canary, he's equally well-versed in blues, soul, and jazz. The band's presence is pretty low-key, which helps the vocals stand out even more. One of my favorite tracks is a duet with Irma Thomas, performing David Egan's "Even Now," a song that Adams also did on his last album in the late 90's. This isn't really a set to play at your next party, but it's a great one to play when you're trying to chill out afterward. 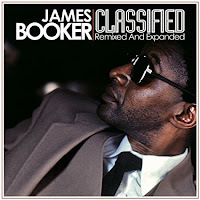 I also picked up what is considered by many to be one of the best blues albums of the 80's, New Orleans pianist James Booker's Classified, albeit in the recently remixed, expanded edition that was issued around 2013. Shortly after I started listening to the blues, I discovered Professor Longhair, who with Dr. John was my first exposure to the great New Orleans piano tradition. When I discovered Booker a couple of years later, my mind was blown. Booker's story is one of the most amazing, and tragic, stories in New Orleans music lore. He could not only play the blues, R&B and soul, gospel, and boogie woogie, he was also trained as a classical pianist as a youngster. He was a huge influence on many of the Crescent City's R&B artists of the 50's and 60's, but he battled a severe drug and alcohol addiction for most of his life, so his career was maddeningly erratic. Speaking of maddening, the 1982 recording session for Classified was quite an experience, according to the liner notes by producer Scott Billington. After several days of erratic recordings with Booker and bassist James Singleton, drummer Johnny Vidacovich, and the legendary tenor sax player Alvin "Red" Tyler, the pianist really came alive and blasted through a tremendous set of solo piano performances, most of which are being heard for the first time on this release. Where the original release of Classified captured the depth and breadth of Booker's piano mastery pretty completely, the expanded set shows even more of his creativity and imagination. Sadly, Classified serves as a closing statement for Booker, as he died just over a year later, only 43 years old. Everything Booker recorded was worth listening to, though there's not much available, but Classified is the definitive James Booker album. 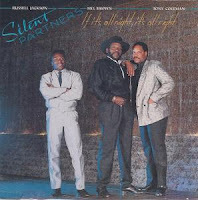 Last month, Bill Mitchell, publisher of Blues Bytes, reviewed If It's All Night, It's All Right, the 1989 album released by the Silent Partners on Antones Records. The Silent Partners were guitarist Mel Brown, bassist Russell Jackson, and drummer Tony Coleman, all of whom had backed up a host of legendary blues artists from B.B. King to Bobby "Blue" Bland to Otis Clay. The trio had actually teamed up to back Katie Webster and decided the combo was too good not to make their own album. The album has been out of print for a number of years, but reading Bill's review last month was enough to encourage me to seek it out.....it would be a good choice for one of my Five Discs You Might Have Missed posts......and I found it relatively easily from a seller on Amazon for a great price. All of the trio do a fine job vocally and the track list is pretty cool, too. The line-up of backing artists is a formidable one.......guitarists Derek O'Brien and David Gonzalez (of The Paladins) and sax man Kaz Kazanoff, among them. I've got to say that I was a longtime fan of Mel Brown's guitar work, but I wasn't as familiar with Jackson or Coleman. I came away impressed with both of them. This is a very nice album that I just never was able to track down back in the day. Plugging it in gave me a nice sense of nostalgia....actually it made me a little sad about those bygone days when I was a young blues fan whose eyes and ears were constantly being amazed by the new sounds I was hearing. While you might not get that feeling when you hear it yourselves, you'll still get to hear a set of blues well done. It's time once again for a new batch of mini-reviews of new releases over the last few months. As most readers know, your humble correspondent also writes reviews for Blues Bytes, THE monthly online magazine of blues CD reviews. I'm looking at a huge stack to review over the next few months, but I'm taking a little time to give you a sneak preview at a handful of the cream of the crop each month, so you can get your hands on them as fast as you can. Hopefully, each month FBF will be offering up a few reviews of new and upcoming blues albums, so be sure to check back in on a regular basis. We appreciate your support, as always. Victor Wainwright picked up another couple of awards a couple of weeks ago at the 2018 Blues Music Award - his second consecutive Pinetop Perkins Piano Player of the Year and Blues Band of the Year. Recently the keyboard master put together a new band called The Train, and their new self-titled release (Ruf Records) will probably result in Wainwright returning to the stage for a couple more BMA's next spring. The new release features a dozen new songs that touch on a variety of music styles. Of course, there are several furious piano workouts that will have listeners moving whatever they're able to move, but there's also a couple of songs that find Wainwright mining the swampy blues territory of Dr. John and Leon Russell. He also ventures into the deep soul arena on a couple of tracks and there's also a positively Allmanesque instrumental and a fine tribute to B.B. King that features guitarist Monster Mike Welch. 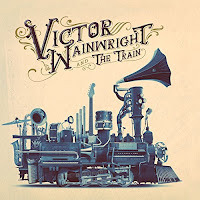 Wainwright is a great songwriter with a updated perspective on old blues subjects and several of these will make listeners smile knowingly, whether procrastinating on going to the doctor, keeping a positive outlook, or thinking about the one you love. 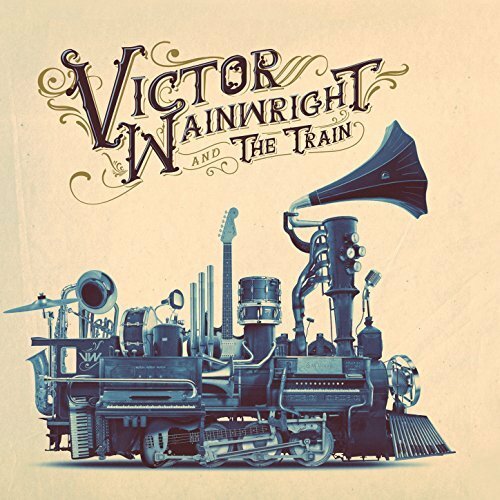 Blues fans should track this one down because anything from Victor Wainwright is a sure thing. It only makes sense that young A J Ghent [J-ent] is a formidable steel guitarist.....his father is Aubrey Ghent, one of the current Sacred Steel guitar masters who has emerged over the last 20 years, his great uncle, Willie Eason is considered to be the creator of the Sacred Steel Tradition, and his grandfather, Henry Nelson, is the founder of the Sacred Steel rhythmic guitar style. 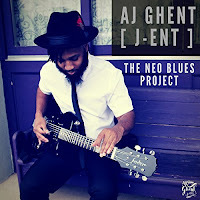 Young Ghent is not only carrying on their traditional Sacred Steel form, but he can also tear it up a slide guitar or resonator guitar) and he has expanded his sound to take in elements of blues, funk, pop, rock, and R&B. His latest release, The Neo Blues Project (Ropeadope Records), is a six-song EP that not only shows off his mad guitar skills, but also reveals his talents as a singer, songwriter (he wrote five of the six tunes), and musician (he played all the instruments on the album). Several of the songs mix the blues effectively with heavy doses of funk, There's one raw house rocker that folks will be talking about which combines the best qualities of Hendrix, Lenny Kravitz, and Gary Clark, Jr. There are a pair of deep soul ballads that showcase his singing ability, and a straight-forward rock n' roller. The disc is just over 20 minutes, but you won't just listen to it one time anyway. Hopefully, this disc will lead to a future full-lengther very soon. 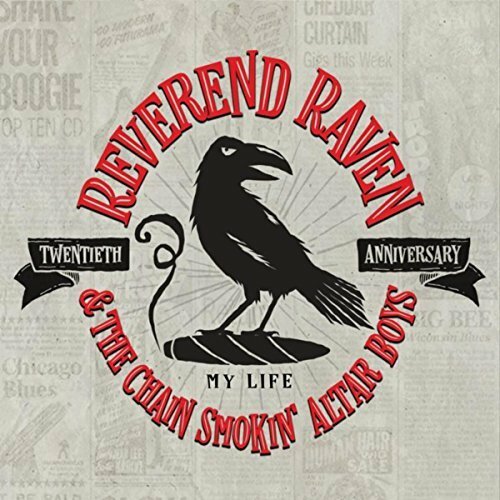 Reverend Raven and the Chain Smokin' Altar Boys recently marked 20 years as one of the hardest-working blues bands in the business. Long regarded as one of the finest blues bands in Wisconsin, the Milwaukee-based band recently released My Life (Nevermore Records), a compilation of 16 tracks from the band's previous four albums, remixed or re-recorded as a new version. 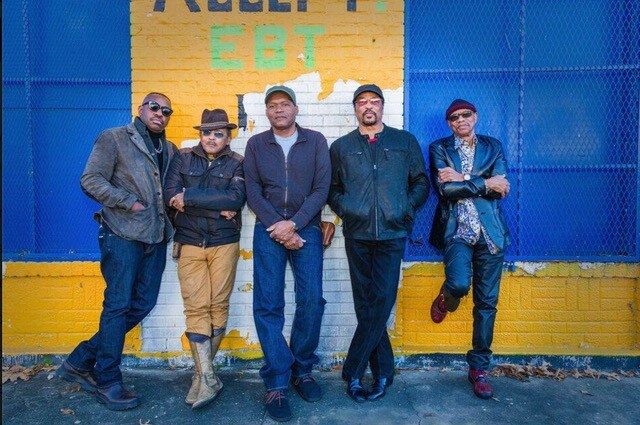 Raven and his associates are equally adept at Chicago-styled blues, Delta blues, and Swamp blues, not to mention jazz, swing, roadhouse and jump blues. 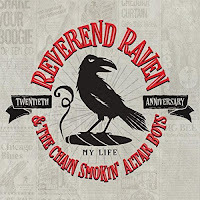 Raven enlists several harmonica players who have played and toured with the band over the years, Cadillac Pete Rahn, Benny Rickun, Madison Slim, and Westside Andy Linderman, along with sax man Big Al Groth on a couple of tracks, and the Reverend is a veritable force of nature himself on guitar and vocals. This is a fabulous look at some of the finest work of this excellent band over the last couple of decades and it will definitely make listeners want to dig deeper into the band's catalog. 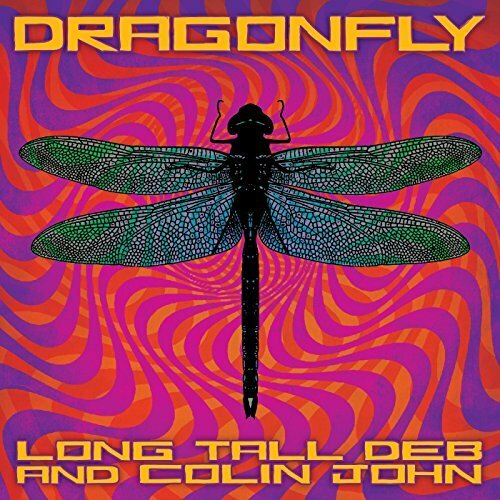 I heard about Long Tall Deb and Colin John a couple of years ago, when they released the EP, Streets of Munbai a couple of years ago. I never had the opportunity to hear it, but I have heard the follow-up, Dragonfly (Vizztone), and I recommend it without hesitation. The duo has traveled the world over the past couple of years, visiting much of America and also Europe, India, and Nepal. The new album embraces not only blues, but Americana, rock n' roll, jazz, surf, pop, and world music, and it's loaded with surprises. John is a superlative guitarist and Deb is a great vocalist with a lot of range, which works well with these tunes, which meld a lot of different styles. One song sounds like a mash-up between surf music and a spaghetti western, while John breaks out a sitar and a baritone guitar on another tune. Another tune blends surf guitar and Spanish influences. This all makes for a wonderful listening experience. 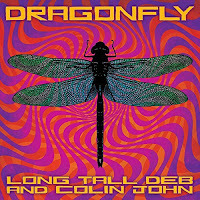 While all of it is not blues, it has strong roots in the genre, and the combination of John's guitar work, Deb's vocals, the excellent songwriting, and interesting musical twists make this one that deserves to be heard.......so give it a listen!! Several years ago, I met a fellow blues fan named Jim Shortt on the old Blues Access music board. Jim was a retired computer ace at the Johnson Space Center, but he had been a lifelong blues fan, even helping Johnny and Edgar Winter book a few shows when he was in college and the brothers were in their teens. He knew just about everybody who was anybody on the Houston music scene and introduced me to a whole lot of great music that I'd never heard before. He loved to send me mix CDs of bands from his area, plus lots of swamp blues and pop songs from years ago....many of which I still listen to. He also would send me songs via email that he thought I would dig. One of those was from a guy named Tommy Dardar, who was a music legend in Houston. 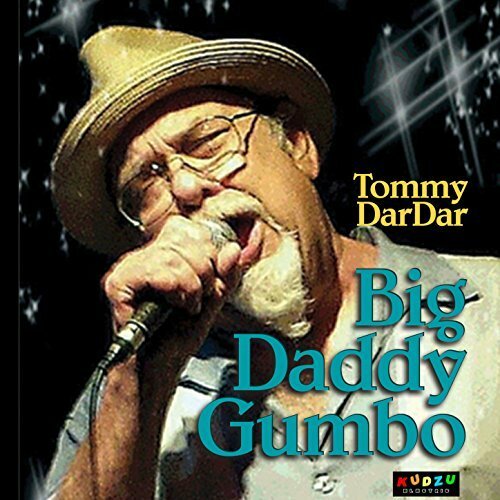 He was known by all as "Big Daddy Gumbo" and he played along side nearly all of Houston's blues and R&B stars over the years, singing and playing harmonica up until his sudden death in July of 2017. Dardar released a great album in 1999, Fool For Love, that brought a lot of attention to him....enough to encourage him to start recording a follow-up in 2001. Sadly, he had to suspend production due to financial and health issues and never was able to get back to it. Happily, his friend and producer Tony Braunagel was able to locate the tracks Dardar recorded and finish them up with help from the original studio band (including Braunagel on drums, Johnny Lee Schell on guitar, Jon Cleary on piano, and Hutch Hutchinson on bass), plus a lot of Dardar's buddies on the music scene.....including Mike Finnigan, Joe Sublett, vocalists Tommie Lee Bradley and Teresa James. 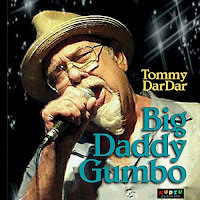 The finished product, Big Daddy Gumbo, features Dardar's eight recorded track, an excellent set of originals written by Dardar and his friends, plus a loving tribute by the friends that closes the disc. There's plenty of great blues, Gulf Coast-flavored R&B, and Swamp Pop in these track and Dardar's powerful vocals and harp are front and center. It's too bad that this great artist didn't get the recognition he deserved, but thank goodness Braunagel and friends were able to get this out there to allow blues fans to hear what they missed. 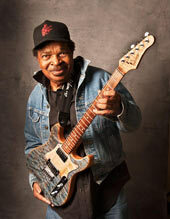 Late last week, the blues world lost one of its great characters when Eddy "The Chief" Clearwater died on Friday of heart failure at the age of 83. He was still active on the scene......one of my friends saw him a couple of weeks ago during the Beale Street Festival, where he put on quite a show. In fact, he was renowned for his live performances and his music, both of which combined the best qualities of the blues, 50's-era rock n' roll, a little bit of country as well as gospel. 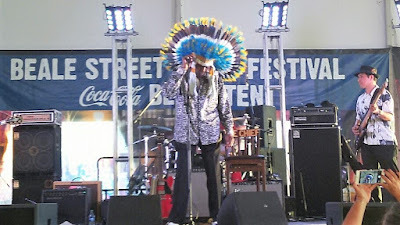 He was also inclined to wearing Native American headdresses during his performances, which earned him his nickname. I listened to Clearwater a lot over the years, beginning back in my early days as a blues fan, when I purchased his Flimdoozie album at Stackhouse Records in Clarksdale. I had heard a lot about his album, The Chief, which, like Flimdoozie, was released on Rooster Blues Records, but was unavailable the day I traveled to the Delta. Just as well, I played Flimdoozie quite a bit in the coming weeks.....Clearwater was joined by one of my favorites, Otis Rush, on a couple of tracks and harmonica master Sugar Blue as well. Later on, I finally got to hear The Chief and I understood what the fuss was all about. My favorite Clearwater song is on The Chief, "I Wouldn't Lay My Guitar Down." 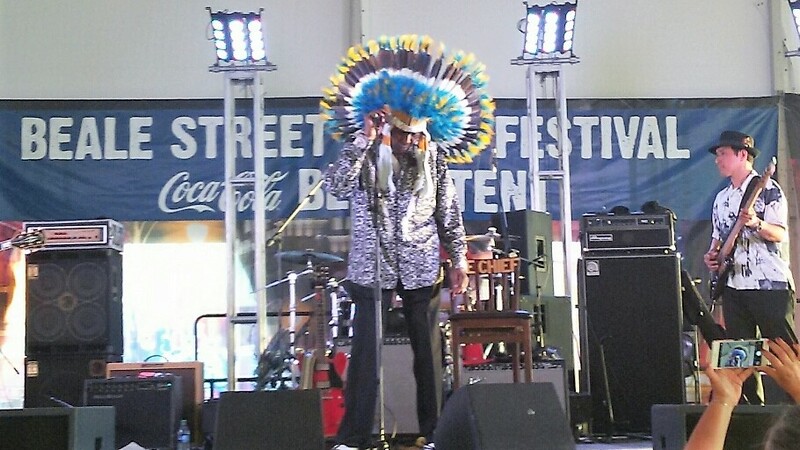 Over the years, I've heard much more from The Chief......I really liked his Chuck Berry approach to the blues. It helped him to stand out from the pack, but he was equally adept at the straight ahead West Side blues, too. 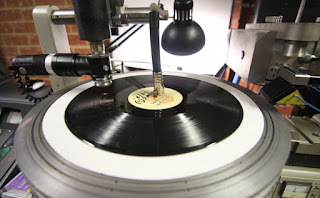 I found the Delmark album, Chicago Ain't Nothin' but a Blues Band, which collected several recordings from Clearwater's uncle, Reverend Houston H. Harrington's small 50's label, Atomic-H, including a pair of Eddy Clearwater first tracks, as Clear Waters. Clearwater was born Eddy Harrington in Macon, MS in 1935, but he was Clear Waters as a takeoff on Muddy Waters. 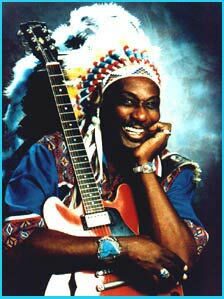 After recording in the early 60's for Federal Records, he was known as Eddy Clearwater and that name stuck as he recorded singles for Federal, USA Records, and other labels during the 60's all the way through those great recordings for Rooster Blues in the 80's. In the 90's, Clearwater recorded albums for several labels......his own Cleartone Records, Blind Pig Records, and an extended run with Rounder's Bullseye Blues subsidiary, including an interesting album with the surf rock band Los Straitjackets. His last disc came from Alligator Records in 2008, West Side Strut, but he continued performing, appearing at the aforementioned Beale Street Festival in early May and at Buddy Guy's Legends a couple of weeks before he passed away on June 1st. Eddy Clearwater was one of the most consistent and durable blues artists on the scene for a long time. For over 60 years, The Chief packed quite a punch. Please remember his family in your prayers and be sure to check out some of his most impressive catalog. When your humble correspondent began listening to the blues, one of the first artists whose work he followed closely was Robert Cray. Young Bob was one of the featured artists on the first blues album I ever owned (Showdown! on Alligator Records). Not long after that purchase, I found a copy of Cray's Bad Influence, which only reinforced my admiration for this music. The rest, as they say, is history. 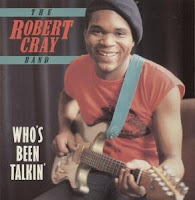 Though I have discovered many other blues titans during my 30+ years of listening, I still check out the occasional Robert Cray release, including his last one, where he's backed with the great Hi Records Rhythm Section in a "Dream Team" setting. 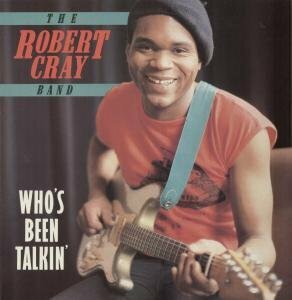 Over the years, I've compiled a couple of Robert Cray "Greatest Hits" compilations in my time to introduce his music to fledgling blues fans, but one of my all time favorite tracks from Young Bob actually came from his debut release, Who's Been Talkin', which was actually recorded in the late 70's and released in 1980 to limited distribution. Atlantic Records reissued it in 1986, around the time that Cray's breakthrough album, Strong Persuader, hit the charts. Cray's usual brand of the blues mixes the blues with the classic sounds of Memphis soul in a very effective way, but this early release is considered by many to be Cray's most "blues-oriented" album. 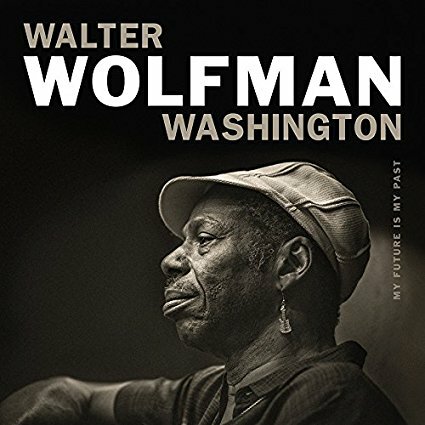 I agree to an extent......there are some fantastic covers here of tunes associated with blues legends like Freddie King ("The Welfare Turns It's Back On You"), Sam Myers ("Sleeping In The Ground"), Willie Dixon ("Too Many Cooks," a hit for Jessie Fortune back in the 50's), and Howlin' Wolf (the haunting title track), but there is also a dynamite soul-drenched take on O.V. Wright's "I'm Gonna Forget About You" (a duet with a young Curtis Salgado, who was a huge influence on John Belushi's Jake Blues character). Cray wrote several of the noteworthy original tunes as well and they're in his classic blues-soul format, but my favorite song on the disc was "The Score," a tune from Dennis Walker and Bruce Bromberg (as D Amy) about a wronged lover who finally figures things out. Cray launches it with one of his best solos.......he's always been a crisp and concise soloist, but this one really packs a lot of wallop in a short burst. I would have loved to have heard B.B. King do this song.......that's who it reminded me of when I first heard it. If you've not heard this album, it's well worth seeking out.